Pioneer Credit’s shares spent most of the first half of calendar year 2016 in a slow and steady slide but a rerating over the last two months resulted in a recovery of circa 20%. It became apparent on Friday that this rerating was well justified as the provider of financial and debt management services delivered a result that featured strong revenue and profit growth. The net profit of $9.5 million was well ahead of management’s guidance of $8.8 million and represented earnings per share of 20.4 cents. This implies a PE multiple of less than 10 relative to Friday’s closing price of $1.95, seemingly conservative for a company that has delivered year-on-year earnings per share growth of 24%. Management has provided upbeat fiscal 2017 guidance, forecasting a net profit of $10.5 million, up more than 10% on the fiscal 2016 result. 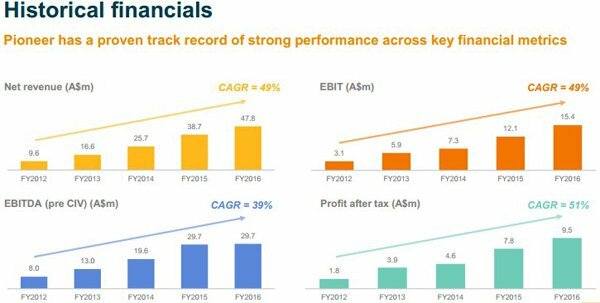 Management has a history of under promising and outperforming, and this may well be the case again in fiscal 2017 given that the company will reap the full benefit of a number of strategic operational measures that were undertaken in the last 12 months in the upcoming period. Pioneer Credit enters fiscal 2017 with a robust balance sheet, providing it with sufficient funding to undertake various initiatives including management’s goal of acquiring Purchased Debt Portfolios (PDP) to the value of $50 million. The company is also well-placed to continue its healthy dividend policy, and consensus forecasts currently point to a dividend of 11.5 cents. This implies a yield of nearly 6% relative to Friday’s closing price. Since listing on the ASX in May 2014 Pioneer Credit has established valuable relationships with the big four banks and these continue to be an integral part of its business. The company also has relationships with an investment bank and consumer leasing providers. The group’s portfolio consists of retail customer accounts purchased from these organisations that are generally past 180 days overdue. Another growth driver in fiscal 2017 will be the company’s Pioneer Credit Connect business which was launched during fiscal 2016. This includes a home loan product which is available to both existing and new customers. Importantly, it allows existing customers to refinance while appropriately consolidating loans and saving on repayments. 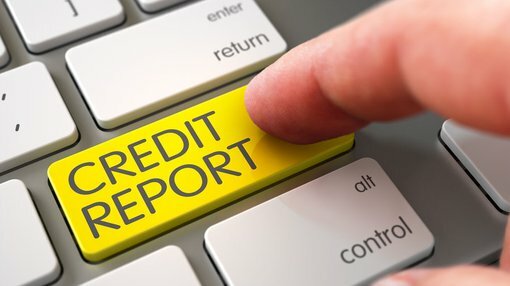 Pioneer Credit’s ethical approach to an industry which tends to have a tarnished reputation appears to work well for it as it retains customers after helping them to break the debt cycle. On this note, managing Director Keith John said, “Increasingly, we are seeing a growing preference from the major banks and other loan originators to partner with us as a company that has an exemplary compliance record and a genuine customer orientated approach”. While Credit Corp tends to dominate the sector as a much larger player and a consistent performer, it is trading on a PE multiple of nearly 15 relative to fiscal 2017 forecasts. It wouldn’t be surprising to see Pioneer Credit match Credit Corp’s consensus earnings per share growth forecasts of circa 14% as this isn’t too far above management’s guidance. Consequently, if investors were to view Pioneer Credit as due for a PE based rerating it could see the company’s shares maintain the positive momentum demonstrated since June. Friday’s closing price is 30 cents shy of the consensus 12 month price target of $2.25. However, there is the possibility that the price target could be revised in light of the company’s result beating consensus forecasts.